Maserati Tipo 26B - History book by Karl Ludvigsen. 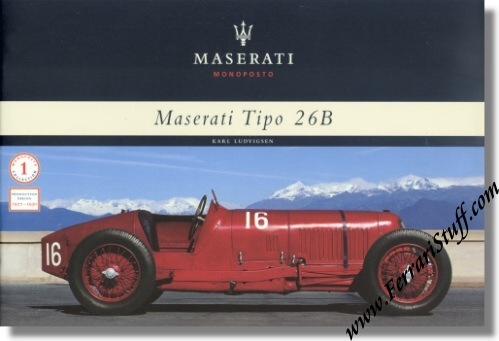 18 Page, soft bound cover, book detailing the background and history of the Tipo 26 B Maserati from 1927 - 1930. Maserati print number: 920000849, issued in 2003.